Wow, what a year for boardgaming – and for Dice Hate Me! There has been a plethora of wonderful games released this year, and Monkey238 and I have been lucky enough to play more than our fair share. At last count, we have learned and played more than 115 new games in 2011 – that’s an average of one game every three days! Last year around this time, I mentioned that 2010 had been a great year for independent success stories, and 2011 has quadrupled that success. This has truly been the year of Kickstarter, and we would definitely know – Carnival was a part of it! Because of the wonderful resources of fans, supporters and curious gamers alike, we all have been privileged to play many titles this year that may never have seen the light of day without the benefit of crowdfunding, and 2012 will bring even more indie gems to our tables. But before we look forward to gaming in 2012, it’s time to take a moment and reflect on the best and brightest of 2011. 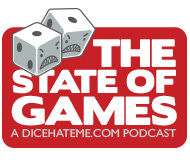 Thus, we present the Dice Hate Me 2011 Game of the Year Awards! 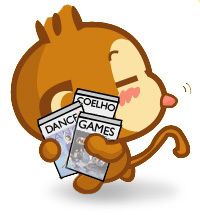 This year, the main category has been changed just a bit; only those games that were published in 2011 are eligible for the award. However, in order to honor those games that graced our gaming table for the first time this year but were published before 2011, I decided to introduce the Dice Hate Me Discovery of the Year Award. Breaking up the category may seem to lighten the competition a bit, but bear in mind that the games list is four times as large as before! The final decision was still mind-numbingly difficult, but in the end, the choice became clear. In the “Year of the Independent” there was simply no way to resist the charms of this unexpected gem – and no way for this brainburning beast to be denied its due. At the heart of Belfort lies the many machinations of a standard Euro, but the mad genius of its complex construction defies simple categorization. For me, Belfort is a rarity – a box full of magic that scratches multiple gaming itches in one intensely-satisfying sitting. And in a hobby where its enthusiasts are always in search of the unusal, where the designer du jour is seemingly always the one with the latest maniacal mechanics, it’s refreshing to see the thirst for uniquity quenched by two down-to-earth guys from Canada with a fondness for the familiar. Belfort is a game for 2-5 fantastical civil engineers, ages 12 and up, by Sen-Foong Lim and Jay Cormier for Tasty Minstrel Games. If 2011 wasn’t declared the “Year of the Independent,” it could just as easily have been called the Year of Alf. Alf Seegert’s name had popped up from time to time before, but it wasn’t until this year that we played three of Alf’s games – two of which were released in 2011, and both of which were excellent. And although Trollhalla will find its way off the shelf and onto the table for years to come, The Road to Canterbury is a near-perfect masterpiece. I would be hard-pressed to name a game that so closely integrates theme and play, with a gaming voice so mischievous and bawdy that one might feel as if that old bard Chaucer himself may have had a hand in its production. In the end, Alf’s ode to literature was only nudged out of the top spot because of Belfort’s ability to accommodate two more players at the table; truly, to call The Road to Canterbury a “runner-up” seems almost an injustice, as it deserves the same superlative as its subject matter: Classic. The Road to Canterbury is a game for 2 to 3 Pardoners, by Alf Seegert for Eagle & Gryphon Games. The dangers and denizens of Arkham, Mass. are no strangers in the Dice Hate Me household, and so it was with bated breath that I awaited what I thought could be the “Year of Lovecraft.” However, when Mansions of Madness left a coldness inside me that rivaled the murky depths off the coast of Innsmouth, a seed of corrupt doubt grew in my heart. I greeted the arrival of Elder Sign later in the year with guarded and much-subdued elation; with so much hallowed ground to defend and redeem, could it deliver? Deliver it did, and with dice no less! While some complained of its ease in difficulty and others remarked on the inherent fiddliness of every Fantasy Flight game, I and everyone else that I introduced to the world of Elder Sign just did as designers Richard Launius and Kevin Wilson had intended – we had fun in the face of fear. Elder Sign is a game for 1 to 8 investigators, ages 8 and up, by Richard Launius and Kevin Wilson for Fantasy Flight Games. Maybe it was the magic of that first play at Origins with designer Richard Launius. Maybe it’s the fact that Monkey and I can play a three hour game and not mind losing – again and again. Maybe it’s the taint. But maybe – just maybe – it’s because Richard created a game that not only made me truly care about a co-op, it also made me forget my fear of chucking those cruel cubes of fate. Boards. Cards. Camels. Cubes. Language-independent iconography. And dice. One of these things is not like the other. And yet, in this unassuming little Euro, those wooden dice breathe fresh air into area control and resource management – all in a tight and tidy little one-hour romp. Troyes wishes it was this good. Perhaps by now all of you dear readers have noticed a trend in these discoveries: Yes, they feature dice very prominently. One would think that a gamer that typically goes by Dice Hate Me might run screaming from the room every time someone even mumbles the word Yahtzee. This is not altogether true – the real trick is if the game masterfully walks the razors edge between tactical control and excitement of the unknown. Lords of Vegas is just such a game, perfectly embodying the gambling spirit of the Strip in each and every roll of the dice. And now for something completely different. Each year Monkey238 also takes some time to reflect on the past year of gaming and select her Game of the Year. Because she likes to keep things tidy – and because she’s a rebel who likes to buck trends – her Game of the Year is selected regardless of when the game is published. And now… Monkey238! Last year I learned 38 new games. That’s a lot. Or so I thought until I recently checked my handy little spreadsheet, appropriately titled “Monkey’s Games”. Wanna take a guess as to how many cells I have filled up for 2011? Did you answer 117? Then you would be correct! That’s right, folks. 117 new games played this year; that’s on top of the ones I already knew. And somehow I also managed to graduate university Valedictorian. Both Chris and Momma are so proud. Perusing my list, it is no surprise that my top three games of the year have lots of wood for me to run my hands through. I have therefore declared 2011 as Year of the Euro. An honorable mention goes to Egizia, which I played near the end of 2010. This fine Rio Grande publication is what first gave me the thrill of making my way around a victory track and from that point on I’ve been successful using a seemingly* come-from-behind strategy to nudge my green meeple/cube/disc along the board. And now I present to you my favorite games of 2011. Two words: wood + camels. Can it get any better? Yes, it can. Just add a handful of large (wood) dice to increase the wonderfully tactile and sensual experience that this game is. The equilibrium created by the luck of the roll versus the strategic decision-making required each turn gives the players a sense of accomplishment every time they place one of their cubes in the shops, the caravan, or the buildings. The colorful boards (there are three community boards and an individual one for each player) are oddly pleasing despite their initially-jarring vibrancy, inviting you to visit over and over again. Before you jump to any conclusions, this game is not solely on my list because of its Chinese theme. 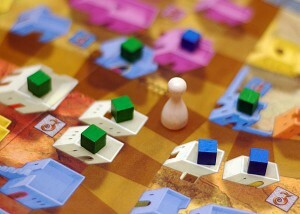 Or because of its colorful veggie meeples. Or because of its interesting economic mechanics. It’s all of these factors combined that make AtGoL my choice over its better known cousin Agricola, as you strive to sustain profit-yielding fields and income-producing markets. Introduce elves, dwarves, and gnomes to the piles of wood circles, squares, and pentagons, and you’ve got yourself a fun, fantastical journey staking your claim in the village with worker placement, resource management, and building construction making it all possible. The Road to Canterbury is the bomb yo! 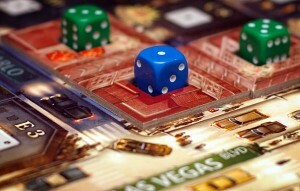 I’ve only played Lords of Vegas and Elder Sign. I liked them both though I thought LoV was better. I own Belfort but have yet to get a good play in. I really need to play Yspahan and Gates as much as you have been talking about them. By the way, there’s an interview with Jay and Sen-Foong on Go Forth And Game. Check it out. Could not agree more with your choice of Belfort as GotY. Wow what an intense gem. Can’t wait to get this to the table more. thecardgamer – Indeed it is, yo! Tom – We really need just one day to play all these deep Euros you’ve been clamoring for! Soon, my friend. Marc – Glad you agree on Belfort! It’s magnificent. Am I supposed to be aroused by Monkey’s Game of the Year? I discovered feelings I didn’t knew I had – ha! Interesting collection of great games. Some folks might be surprised at the inclusion of Yspahan, but I have to say that I’m not. I was asked to run the World Boardgaming Championship tournament for Yspahan and had to dig into the game a little more. Its really fun, plays smoothly, and has little down-time. 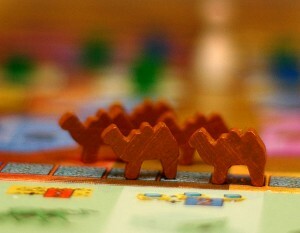 Although most people think of it as a friendly almost-family game (come on, camels! ), the fact is that with experienced players its a cut-throat game of control and blocking. I had the privilege of watching some great gamers duke it out for the title (congrats to Eric Freeman for 2011) and this game is much less random in outcome than all the die-rolling, card-drawing would have you think. 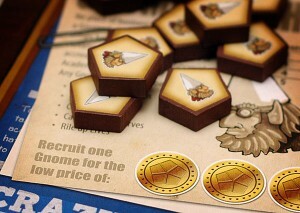 Belfort is looking like a classic among worker placement games and I love the art and theme. 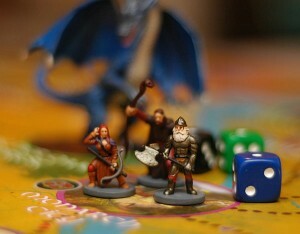 Some folks might find it a little drier than the artwork and theme imply, but it has great game play. Its also a game that will be a little long the first time you play as you put together the interactions in your head. The variability of the guilds in altering each play’s base economy will keep it fresh. 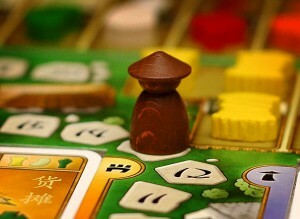 Gates of Loyang is not my favorite among Uwe’s games, but that doesn’t mean it isn’t great. I also think it is the best solitaire euro that I have ever played. Try it out solo and you can learn a lot about sequencing moves that will make you better at almost every game you play. It is my favorite board game brain exercise. I just got a copy of Road to Canterbury and I hope I like it as much as you do. Thanks for the thoughtful perspective.